"In the Footsteps of Robinson Crusoe and Other Stories". Nick Hill and friends are holding an art show at the Southwater Community Centre from 19th April to 2nd May open daily 10am - 5pm. A private view will be held on Thursday 18th from 6 - 8pm with live music. We have a large first floor main hall suitable for a wide range of events, and has disabled access with a lift from the ground floor. It has seating for up to 30, with folding tables and a white board. This room is opposite the main hall, and suitable for small meetings, one to one sessions, interviews etc. It has a whiteboard for presentations. TV is not available in this room. The ground floor meeting room is suitable for a wide range of classes and activities. It has seating for up to around 15 around tables or 20 for presentations etc, and a white board. This ground floor more informally arranged room seats up to 15, is suitable for small meetings, interviews, counselling sessions, coffee mornings etc. Tea, coffee are available in the kitchen for 50p per cup donation or centre users may bring their own supplies. The centre has a microwave and a good supply of mugs, plates and dishes. Flip charts are available to be used in any room. A tv/dvd/projector is available by arrangement. Wi-fi is available within the community centre. The centre is conveniently situated at the junction of Stainsby Street & Station Approach, directly opposite Warrior Square railway station. There is cheap and free parking outside and nearby. There is a bus stop on London Road nearby for routes 20, 21, 22, 23 and 26. THE SOUTHWATER CENTRE NEEDS YOU! 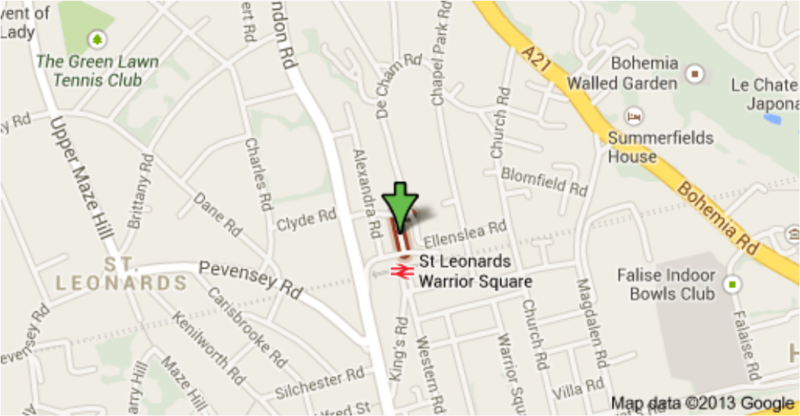 ​The Southwater Area Community Centre is at the heart of St Leonards on Sea town centre. We provide a friendly, neat and good value space for all sorts of activities; yoga, exercise, therapies, support group meetings, language classes, training, business meetings and more. We are looking for local people to who can come to meetings, become committee members and trustees. We meet on the last Friday of the month at 10 – 11.30am. The committee ensure that the community centre is well run, sustainable, properly maintained, and has good governance. Most importantly the committee make sure the centre is appropriate for local needs and providing a great service to the wider community. The centre has been serving the community for over 16 years and we are going strong. Become a part of our team making 2019 even better. Only a few hours of your time is required for a valued local charity. Call or send us an email with your contact details. Let us know why you are interested and tell us any experience that you feel would be valuable. "In the Footsteps of Robinson Crusoe and Other Stories". Nick Hill and friends are holding an art show at the Southwater Community Centre opening on 19th April to 2nd May open daily 10am - 5pm. A private view will be held on Thursday 18th from 6 - 8pm with live music. ​health status or class is unacceptable. Bookings are available weekdays & weekends from 9am-10pm. ​The centre is used by a wide variety of individuals, groups and organisations including for training sessions, business meetings, one to one therapy and councelling, yoga, qi gong, fitness, mindfulness classes, music and language lessons, support groups, clubs and just for social events and get togethers. Make use of youir friendly, convenient and affordable community centre. Details of some of the events at the centre can be seen on the WHAT'S ON section. There is flat access, accessible toilets and a wheelchair suitable lift at the community centre.